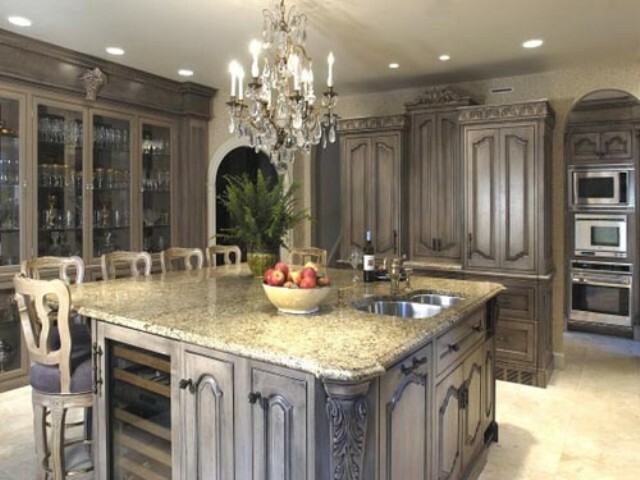 Kitchen cabinet design ideas have a real contribution to help homeowners, especially housewives to organize the kitchen. The kitchen cabinet is a place to store large kitchen equipments like pots, blender etc… And, no wonder if most kitchen cabinet sizes are big. But, you might forget that it can also save small items that don’t require a large space like Glasses, knives, or spoons. The minimalist kitchen cabinet design is one of the smartest kitchen cabinet design ideas that can accommodate all kinds of kitchen appliances storage necessities. The kitchen cabinet is one of principle kitchen fixtures, so that it has to be a main focus in order to strengthen the concept and the storage capacity. 1. Choose the cabinet that has a simple design, so that the minimalist character will support the nuance creation in the kitchen. It might not be too hard to find a minimalist kitchen cabinet design in home improvement stores in your city. But, it’s recommended to make a customized cabinet which can be adjusted to your taste, the kitchen space and the most important, the budget. 2. For the color selection, since the minimalist interior concept always clings to the simplicity and neutrality, you have to apply neutral or soft colors into the cabinet. Don’t forget to adjust the base color of the kitchen as well in order to be harmonized with the space. 3. Since the kitchen cabinet consists of two parts, the wall cabinet and the floor cabinet, you have to sort out the kind of kitchen appliances to be stored in each cabinet. The wall cabinet is best suited to store the kitchen utensils infrequently used, while the floor cabinet is to store the food stock and the kitchen utensils frequently used.